A Little Scratch was founded by Claire Martin in 2015. She has over 18 years experience as a clinical nurse specialist working within the NHS and is still working 4 days per week in this role. She holds a batchelor of science degree in professional nursing studies and is an independent nurse prescriber. Claire has worked privately for the last 10 years alongside vascular consultants performing sclerotherapy - cosmetic treatment of varicose veins, and has now extended her practice to include muscle relaxing treatments (Botox®). Claire only uses the highest quality products with well established safety and efficacy records. This results in better, more durable results and less pain at the time of the procedure. In high concentrations, botulinum toxin is a potent poison. However, used in minute doses (as it is in cosmetic therapy), Botox® has a very high margin of safety. Your practitioner only uses highest quality reputable products with well- established safety records. Botox is used to relax some of the facial muscles which reduces the appearance of small lines and wrinkles. The overall effect results in a fresher, more youthful appearance often described as, "how I look after a good 2 week holiday". Common treatment areas are forehead, in-between the brows and the 'laughter lines' (outer corners of the eyes). Botox® can also provide a brow lift. The procedure takes about 5-10 minutes. The practitioner will ask you to use certain muscles of the face to observe how they work. 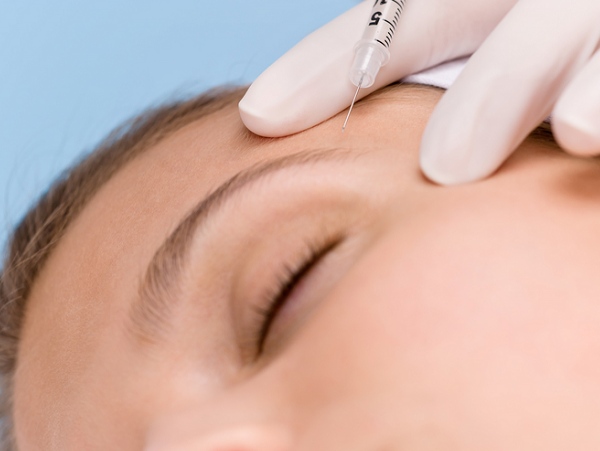 An extremely fine, short needle is used to inject the Botox into the appropriate area. This may cause some slight but brief discomfort. The area may have some slight redness and swelling, which normally resolves in an hour or two. After treatment, you should not massage the injected area. You should not lie down for four hours after treatment. The treatment normally starts to take effect after 4 to 14 days, but this may vary slightly with some individuals. The effects will normally last between 2 and 6 months, when you will start to notice an ability to move the muscles more freely. As with any treatment there is the risk of allergic reaction. You practitioner is a qualified nurse who is trained to deal with reactions and does carry drugs which can be administered should this occur. You should not have botox if you suffer from egg allergy. Side effects of this treatment are mostly rare. Most people find that the injection causes only mild discomfort. Immediately after the injection there may be mild swelling, which usually subsides in 48 hours. Bruising at the injection site my occur. Some people complain of a mild headache following treatment. Occasionally, a temporary drooping of the eyelid can occur. This may last a few weeks, but will always resolve. If you are pregnant or a breastfeeding mother, treatment is not recommended. Sclerotherapy is the injection of a small amount of irritating chemicals into small broken veins. The veins may be small red, blue or even greenish in appearance. Sclerotherapy works by irritating the lining of the vein so hormone chemicals cause the inside of the vein to become "sticky" and the vein then sticks together and eventually disappears. Initially after the procedure the vein will look worse and bruised so this procedure is best done well before any holidays or even done in winter before you get your legs out! Your practitioner is a qualified vascular nurse, and is able to give an expert opinion on the veins in your leg and will advise you if the veins need injections or will be able to refer you for a surgical opinion if that is what is required. There is always a chance the veins will not respond or you may develop other veins elsewhere on your body. Sometimes, particularly if you are fair skinned where the vein is treated you are left with faint brown staining. This is however easier to disguise with 'tan' than the actual veins. Very rarely if any of the chemical leaks from the vein a small ulcer can occur at the injection site.